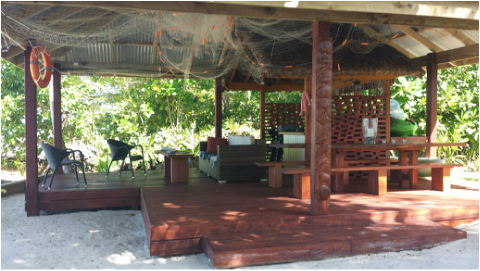 Mahi Mahi Beach Villas are fully self contained. Fresh, organic, seasonal locally grown produce can be sourced through the village markets where you can enjoy the traditional shopping experience. Organic Santo beef and locally caught fresh fish can be purchased nearby. (When in Season). An alfresco outdoor self-catering restaurant on the beach has a barbecue and gas cooking facilities for you to enjoy, with a large dining table made of local timber. Local beer and wine also available to purchase on site. Mahi Mahi Beach Villas are only a short walk from two fabulous restaurants should you wish to dine elsewhere. 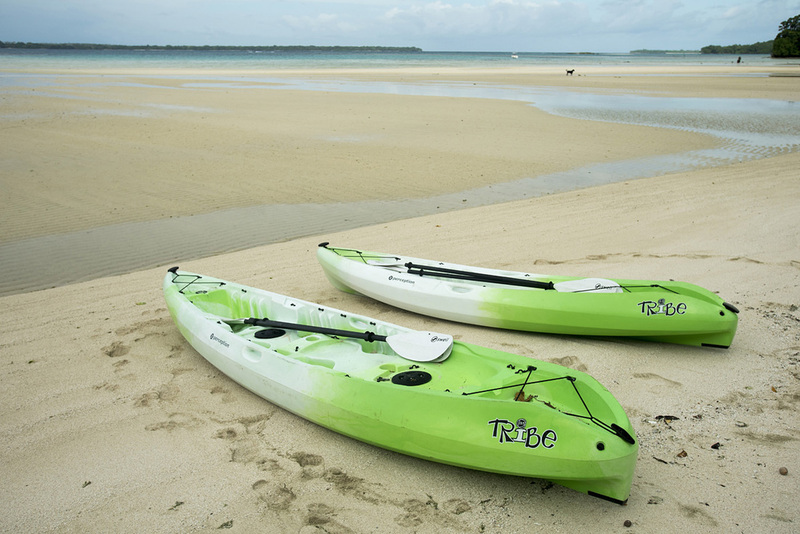 Water sport facilities are available free of charge to let you explore the reefs and water life at your front door. Double and single kayaks are available. A family of Dugongs have made their home in the adjacent bay and it is a once-in-a-lifetime experience to spot them, and watch them play in such close proximity, in the early mornings. Snorkel the beautiful pristine coral reefs 100 metres off the shore, which are teeming with colourful fish. A marine reserve was declared in this unique location two years ago and the sea life is spectacular. There is a small freshwater Blue Hole 2 minute’s walk from the Villas, bubbling with refreshing cold water and the chance to interact with pikinis (children) from the local village. on a Volunteer Services Abroad (VSA) assignment on the Island of Ambae. Linda has created a charity to support local new born babies, born in Santo, and their mothers. This is volunteer work that Linda is passionate about. Funded by Linda and kind people that donate to this cause, hundreds of babies have benefited from these efforts. This is much needed as resources at the local Santo Hospital are limited. 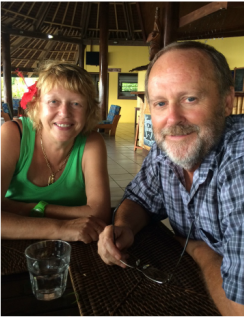 Click here to learn more from Linda's Vanuatu Newborns Facebook page.